Welcome to MuSool Academy, where we provide the very best in Martial Arts instruction. Our school opened its doors in the Port Orange area in 2001, and we are proud to be part of the community. We have worked hard to build a martial arts academy with a fun, family atmosphere – all while maintaining our integrity and quality of instruction. 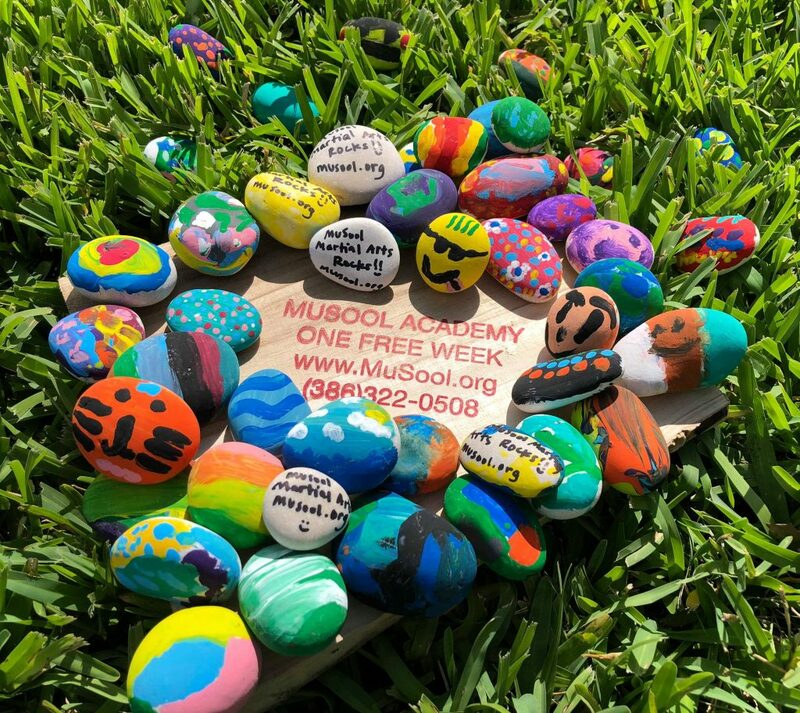 Did you discover one of our MuSool Rocks somewhere around town? Bring it in for 1 Free Week at MuSool Martial Arts! Providing the very best in martial arts instruction since 2001.